While there are millions of problems in the world today, global health is arguably one of the most crucial. Health is at the core of everything we are and everything we do; without health, we cannot function. Miller Center for Social Entrepreneurship is taking vital steps to improve global health through its work with health-based social enterprises all over the world. 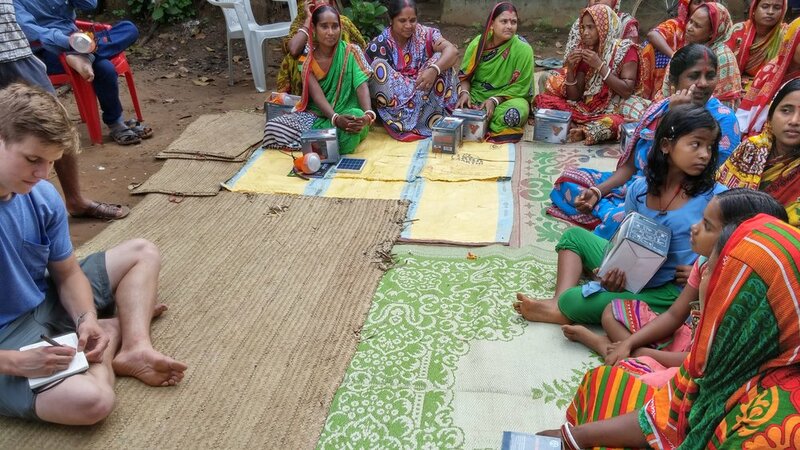 Thanks to Miller Center, I was able to work with CareNX Innovations last summer, a company striving to eliminate preventable maternal and neonatal deaths in India. I had the opportunity to hear powerful stories from pregnant mothers and hospital employees, and experience gaps in healthcare first-hand. Solving the global health crisis will not be easy, but by giving social enterprises the tools they need to succeed, Miller Center will continue to improve access to healthcare worldwide and improve countless lives. I spent the summer of 2017 working at UnitedHealthcare as a sales and market analyst intern. While I loved the fast-paced environment and enjoyed learning about the healthcare system and insurance cycle, I couldn’t see myself as a healthcare sales representative. I was yearning for something more hands-on. I wanted to be a changemaker. I registered my interest in the Global Social Benefit Fellowship, with the inkling that it could lead me in the right direction. When I read about CareNX’s mission to decrease neonatal and maternal mortality rates through a smartphone integrated diagnostic kit, I knew I was looking in the right place. I was excited by the possibility of spending my summer doing meaningful work that could truly impact the lives of thousands of pregnant women in India. Fast-forward six months to June, and I was on a flight to Mumbai, India. Fast-forward six months to June, and I was on a flight to Mumbai, India. My partner, Varsha, and I had spent the three months before the trip building a detailed, 54-page research plan. We had spent countless hours mapping out the logistics of our research project, and I was ready to tackle every step of our plan, which I believed would allow us to gather the research necessary to complete our deliverables successfully. I was confident in our ability to provide enhanced social impact reporting and support CareNX’s scaling through implementing strategy recommendations and business model innovation. While I was prepared from a business standpoint, I wasn’t prepared from an emotional one. Varsha and I had collectively read dozens of articles regarding India’s maternal and neonatal mortality rates. I was aware that India accounts for 20 percent of maternal fatalities globally, resulting in approximately 44,000 deaths every year. However, understanding a statistic and meeting the women behind the statistic are two very different things. I was ready to create solutions to fix the maternal healthcare crisis, but I wasn’t mentally prepared to come face to face with the problem. Varsha, Preeti and I sat on the floor of Jyotsana Varthak’s home. Jyotsana was the very last community health worker we interviewed in India. Jyotsana is a highly skilled community health worker, with 30 years of experience as an auxiliary nurse midwife (ANM). We asked her what barriers—personal, familial, societal—she saw preventing the successful adoption of CareMother in mothers. Jyotsana told us that the biggest obstacle for maternal care was education. Jyotsana explained that most of the pregnant women she visits are uneducated, illiterate, and unsure of their age. Uncertain of their own age. This detail shouldn’t have been surprising to me; at this point in our journey, we had interviewed a handful of mothers who looked confused when we’d asked the question. To me, it was such a simple question. It was a question I was asked frequently as a child. Eager to grow up, my response would usually involve a fraction. I’m nine and three quarters, and I would state proudly — each birthday I celebrated with family, friends, and a homemade cake. I couldn’t fathom the idea of not knowing my age. I realized I had taken my birthday for granted in a way I hadn’t known was possible. What was even more unsettling was the impact this lack of education had on these women’s health. The pregnant women Jyotsana cares for had never learned about reproductive health—or even taken a general health class. Instead, they learned about myths and superstitions from their mothers and grandmothers. One of the superstitions Jyotsana told us about required the pregnant women to stay locked in their rooms where they gave birth —alone— for three days. During this time, the women were forced to clean up the mess that had been made during their labor. A different myth required mothers to burn their baby on his or her ribcage with an iron rod. I’m not sure if I would have believed this if Jyotsana hadn’t lifted up the shirt of a baby boy for us to see the scar. The child immediately shrieked. It was evident he had been scarred from the experience in more ways than one. I was filled with disbelief and rage. How could a mother put her child in pain? I didn’t understand. Did they love their children less? The rage slowly turned into embarrassment. I realized I was imposing my own beliefs on these women’s culture. Of course, they loved their children. They didn’t want to see them in pain. These mothers felt obligated to harm their babies because of the cultural traditions and societal norms imposed on them. There was no logical reason for these mothers to trust medical doctors. To them, western medicine seemed more foreign and dangerous than the superstitions their families’ had been following for generations. Choosing to seek medical care for their pregnancies was not only seen as foolish, but disrespectful to their elders. This was just one of many moments where I felt helpless in India. The language barriers had also proved to be a more significant hindrance than I had expected. While Varsha could understand three different Indian languages, I struggled to comprehend my fellow CareNX team member’s broken English. Most of the mothers and community health workers we interviewed couldn’t understand my American accent either, so Varsha or Pritee (our translator) conducted most of the interviews while I jotted down notes. From speech and debate club in high school to numerous sales roles in college, I have always felt confident in my communication skills. Being unable to have a leadership role on the communication front made me feel utterly useless in the field. However, this weakness gave me the opportunity to build invaluable listening skills. When Varsha and I returned from the field, we sat down together to analyze our data and discuss our findings. Flipping through my notebook, I realized how much knowledge I had gained. I had scribbled down notes on stories mothers had shared, ideas about ways to increase partnership efficiency, thoughts from a customer experience perspective after talking with community health workers, and much more. The language barriers and communication obstacles had given me the chance to devote all of my energy towards listening and observing. This allowed me to better understand India’s maternal health crisis as well as CareNX’s own business challenges before jumping to creating solutions. Nine months ago, I knew I wanted to be a changemaker. However, I was unsure the best way to incorporate that goal into my career path. This fellowship has given me a deeper understanding of the types of work I enjoy and a more clear direction for my vocational journey. I discovered that slow-paced work environments frustrate me, and it is essential for me to work with people that know how to prioritize and balance responsibilities effectively. I am more likely to succeed in a fast-paced environment, surrounded by highly-motivated and competent individuals. This fellowship also taught me how to truly collaborate - and I’m not talking about the typical “collaboration” facilitated by group projects in college classes. Varsha and I carved out 20 hours each week to meet up and work on our deliverables in person. True collaboration can foster some of the best ideas, and when Varsha and I created a solution to a problem we had been circling it was exhilarating. I learned that I love strategizing. Analyzing the way current systems work and creating solutions to optimize efficiency excites me. While most people consider an entrepreneurial spirit, creativity, and curiosity as common traits for entrepreneurs, I discovered that I don’t need to start my own company to utilize these talents. By questioning the logic behind current processes and creating change with creative solutions, I can provide value to any organization. My passions lie in helping current, mid to large size organizations create and change products to accelerate social impact. This isn’t limited to changing drink beverage companies’ straws from plastic to biodegradable, although this certainly is important. We know that the way we create and consume products impact the world from an environmental perspective. However, products also can impact consumers in countless ways, ranging from physical health to child psychological development and so much more. Changing and creating products within organizations through a social impact lens can make a difference in the quality of millions of lives. The opportunities to make the world a better place are endless, and I am excited to see where my journey will lead to next. Jess graduated from the Leavey School of Business in March 2019 with a degree in Business Management and a minor in Entrepreneurship. 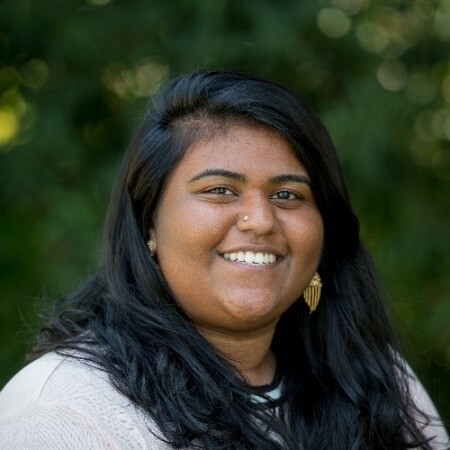 As a 2018 Global Social Benefit Fellow, Jess worked with CareNX Innovations in Mumbai, India, conducting research for a social impact assessment and business model innovation. Jess is currently seeking full-time job opportunities, and hopes to work for an innovative company where she can use both her analytical mindset and creative edge. I have always felt the calling of Mother Nature. It has never been particularly strong, but it has always been present. As I grew up, perhaps I had pushed it aside to follow in the dreams of my parents, who stressed a life of financial stability and personal growth. After the hardships they faced growing up, they wanted to ensure that I would not endure the same struggles and thrive in modern society. Only recently have I realized the loss of focus on my own goal. When I first declared electrical engineering, I was never truly set on becoming an engineer. Yes, I enjoyed the intellectual stimulation and the practical and theoretical mix of work, but something was missing. I knew what I wanted to do with my life and where I wanted to be, but I lacked a clear path towards my end goal. I wanted (and still want) to combat climate change, but telling people I was interested in the environment consistently led to discussions on the topic of renewable energy, and I slowly embodied everyone’s thoughts and this idea began to define who I was. In everyone’s mind, I was to use electrical engineering, create power systems, and somehow save the world by only implementing solar and wind. This was unrealistic and not who I wanted to be. But it was what everyone saw in me. At the same time, even going along with everyone’s perception of me, I realized that I lacked action behind my words. I was a fraud, and this needed to change. Declaring a double-major with environmental science proved as an outlet to help me come to terms with my identity (as I’ve mentioned in my introduction). I found myself diving headfirst into anything related to sustainability. I went on an immersion trip to Appalachia to learn more about coal mining and environmental injustice. I joined the Center for Sustainability and worked hard to make an impact on our campus through any means possible. 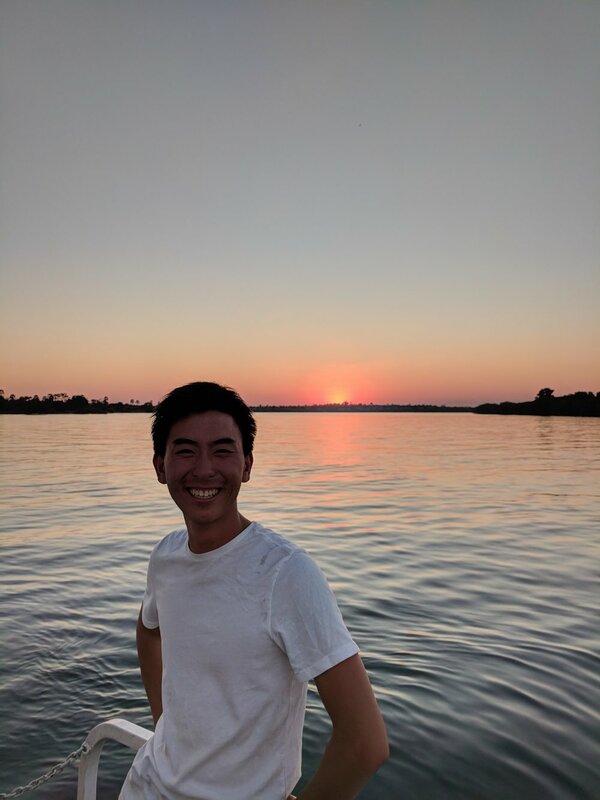 I started a Solar Regatta team to teach people more about the intersect of renewable energy and engineering, interned at a solar company and at an engineering consulting firm to further the development of power systems, and recently began an internship at a utility company. Yet, throughout all this, I still felt like a fraud. I kept ignoring the voice in my head. The one that made me passionate about the environment in the first place. I had the urge to do something and to do it well. I was tired of having this dream of helping the world, but when it came down to it, I couldn’t follow through. I needed something new. Something to turn my cynicism into hope and to remind me what life truly means. Something that showed that people aren’t self-obsessed and stressed about the minute details of life, but to create a vision of the world that they want to live in. Luckily, Global Social Benefit Fellows (GSBF) was that something. Applying for the fellowship was a last-minute decision. I had originally decided to intern once again at the same engineering consulting firm due to the lack of engineering-related projects provided through GSBF, but I realized almost too late the value of this program. This was an opportunity to broaden my horizons, explore social entrepreneurship (I had previously taken a class in high school about entrepreneurship and hated it, so I was a little scared to try again), and learn more about creating the impact that I was dying to achieve. Yet, even after being accepted, I continued to question my decision. When I told people that I was going to Zambia this summer, I received mixed reactions. Some of awe and support, others of fear and ignorance, and there were others who simply disapproved of my life’s path. Wow. I truly struggled with this statement. Sure, I had come into college not really knowing or wanting to be an engineer, but after three years, it had grown on me. It was the first thing I told people when they asked me to introduce myself. It was my second skin. I had been a dorm counselor for a summer program (S.E.S.) educating high school students about what it was like to be an engineer. I gave tours every week to prospective students to show them what it was like to be an engineer. I had dived headfirst into engineering with the full intention of becoming an engineer, but suddenly, people were telling me that I wasn’t real. It was an identity crisis. If I wasn’t an engineer, then who was I? I found my answers throughout my journey in Zambia. I saw firsthand how beneficial an engineering product could have on the lives of so many people, but also the importance of even having the engineering mindset that I developed studying engineering. It helped me discern some of the problems within the agent trainings by being detail-oriented. It helped me optimize visuals and graphics within the sales manual, create schedules to ensure efficiency at work, and even with conflict resolution by rationally listening and explaining both sides of the story. I learned that being an engineer is more than just creating products. It is about fostering a problem-solving mindset to do good and help people. Engineering is like a social enterprise, regardless of the classification, what really matters is the intention. I had the intention to create change with my engineering degree, and I slowly came to terms with being an engineer, or at least not being the stereotypical engineer. And in this, I learned to appreciate that there are so many opportunities in life that we don’t need to just focus on only being good at one thing. We’re not trained for assembly lines, but to use our minds and think creatively. Sure, maybe we don’t know what our true interests are or where we may end up in 10 years, but we know what we like to do and what we want to do. If we understand that our passions can all be interconnected, then we have achieved what we set out to do. I know this is a simple lesson, but it has had profound impacts on my future. Before the fellowship, I had always considered following the engineering route and seen myself as just another engineer who dabbles in sustainability, but now, I’m excited to learn more about different opportunities within the realm of sustainability with my engineering mindset to enable success. The meaning behind this quote has truly helped me come to terms with my idnetity. Throughout my youth, I volunteered consistently, and that gave me a purpose. Talking with people and seeing the reactions on their face as I provided a simple meal or helped a child with homework made their and my day a hundred times better. But the ambiguity of my own future and the need to finalize it within four years of college put me at a standstill, where I focused more on my own development rather than on addressing the needs of others. Coming back from this fellowship provided this mental break that I needed. Throughout my journey, I met so many inspirational people—peers, mentors, and Zambians—who all reminded me to be my unapologetic self. That smiling at strangers was not creepy. That being optimistic didn’t make you a dreamer. That sometimes, a conversation with an open mind and an open heart is all that is required. I truly enjoyed being able to be present and interact with the people I was helping, and I can honestly say my heart is a little bit fuller. I remember lying down on a mattress in the back of a truck on our way to Shiwang’andu from Mpika. Drew and I had begun talking about how all the upcoming and popular movies were about superheroes. We discussed how our culture continually looks for a savior in times of need, with people projecting concerns onto others, hoping that one person can create the change, so the rest of us remain complacent. Drew noted that social enterprises don’t focus on the individual, but rather on encouraging everyone to step up and become their own superhero. Before, I had always envisioned business as an evil entity to exacerbate planned obsolescence and consumerism, the work we did showed that business can and should create social value (echoed in Laudato Si). After reading Poor Economics and Getting Beyond Better, I had already really liked the concept of social entrepreneurship, but Drew’s statement at that moment resonated with me. The entrepreneurial mindset was not taking advantage of others but engaging them in the world. Looking back at these past nine months, I feel both pride and sorrow. Pride at all the things that I have accomplished, learned, and experienced, but sorrow at no longer having this class and seeing all the amazing people who went on this journey with me. Although I never quite realized my transformation throughout the fellowship, as I write this, I finally understand how much I have grown and changed. And although my future remains uncertain and my path somewhat undecided, I cannot wait to find my place, knowing that we are not limited by our major or our skills, but by the passion and dedication we hope to bring. James Wang is a fourth-year double-majoring in Electrical Engineering and Environmental Science with minors in Mathematics and French & Francophone Studies. He is currently researching the ethical implications of geoengineering and working on his senior design project, an aquaponics system for food insecure communities. Upon graduation, he hopes to receive a Fulbright scholarship to research in France regarding a new energy storage system—a hybrid supercapacitor. In the future, he hopes to couple his passion for the environment with his interest in technology to pursue climate change intervention methods, potentially geoengineering. For more information, he welcomes anyone to contact him through email or Linkedin and exploring the rest of his blog! Lots of laughter. And lots of love. When I look back on my summer fellowship in East Africa, I can't help but think of the first memory that I have from there. Walking out of the airport in Uganda, I remembered feeling an overwhelming sense of what I can only describe as home. It is the same feeling that I get when I walk out of the Islamabad airport in my home country of Pakistan. And it feels like a wave of peace has washed over you. As if the arms of the universe are cradling you and welcoming you back to your true nature. My trip to East Africa made me think a lot about my "true nature". When I speak of my "true nature", I am referring to the part of me that connects with others on a level outside of the superficial. In Pakistan and in East Africa, no one cared what university I went to. No one knew about my extracurricular activities. My value to others did not stem from any superficial forms of success that I had attained. Instead, people cared about who I really was as a person. They cared about how genuine our interactions were. We often engaged in conversations that I find so difficult to have here in America. In Uganda, we often conversed about the hardships of political corruption or the complex nuances of Western charity work in Africa. In Rwanda, I bonded with many of my friends and co-workers over discussions of the shared genocidal history of Rwanda and of Kashmir (my mother's homeland). I've gotta say: things just felt so much more real in East Africa. I didn't feel like I had to put on a front. Though people on the streets often referred to me as a mzungu because of the color of my skin, engaging them in conversation made us realize that we had more in common than I often feel like I have with people in America. In East Africa, people cared about the love we shared and the laughter we bonded over. They cared about what we could learn from each other's lives and shared experiences. And it never took too long for me to engage in genuine conversation with anyone. It was as if I could finally throw away the rose-colored glasses I often feel pressured to wear in the US and actually immediately dig at what I wanted to know most about people: how they engage with life, what they genuinely struggle with, what brings them joy and what brings them pain, and what they really care about doing with their lives. Our incredible Rwandan translator, Agnes, sending us off at the airport. People in East Africa were so open to being genuine and spreading love. And it was evident in everything they did. People often went out of their way to be kind to us. To be generous. Women in the villages we visited would often make us food or bring us water bottles they had gone out to buy for us, even though water was a scarce resource in their village. I remember getting really sick at one point during our trip in Rwanda. We made a visit to the office at some point and, upon mentioning in conversation that I had a sore throat, the country manager, Benon, left the office in the middle of work just to buy me Amoxicillin from the local pharmacy. Agnes, our translator and good friend in Rwanda, went out of her way just to drive with us to the airport so she could send us off before our flight back to Uganda. One particularly memorable moment was when some of the lovely staff at the Uganda office surprised us on our last day in Uganda by making an impromptu visit to our hostel just to squeeze in one last goodbye to us before we left the continent altogether. What made this moment so memorable, was the fact that we'd had the loveliest goodbye party full of cake and dancing and pictures the day before. We had so woefully said what we thought would be our last goodbyes the day before, but were absolutely thrilled to find that half the staff had piled into the company van just to see us off one last time. We were so thrilled to find the staff from the Uganda office waiting for us downstairs on our last day at Bushpig! Even the staff at Bushpig (the hostel we stayed at in Uganda) along with Father Innocent and the guards at Centre Christus (the Jesuit center we stayed at in Rwanda) were so beyond hospitable and loving towards us. From having long and lovely chats at breakfast with some of the waitresses at Bushpig's breakfast (who would later sneak some extra fruit onto our plates) to playing cards at midnight with the security guards at Centre Christus, everything about East Africa just felt so fun and so homey. It was little moments like these that made me realize that the people there truly understood the value of making others feel welcome like family. I think more than anything, what my trip to East Africa made me realize is that what you put into life is what you get out of it. What you reap is what you sow. If you spread love and kindness and are genuine with others, you will receive it in your own life. If you live a life where you choose to be generous to others, the universe will find a way to bring that generosity back to you. If you go forth into the world seeking a means to make it a better place, life will find a way to make itself better for you. Life is about choosing to embody certain values in your interactions with the world. And whatever you embody, life will embody that back for you. A snapshot from our goodbye party at All Across Africa's Ugandan office. We live in a culture where we can often get lost in attempting to increase the importance of our own individual journeys in the grand scheme of things. This can lead to high rates of depression, anxiety, lack of self worth, and endemic self doubt. I find that the East African culture can inspire a lot of positive change in our lives if we choose to let it do so. From both East African culture, as well as many other Eastern cultures, I find that the West can benefit from learning the value of community building and choosing to live a life beyond ourselves. Uganda and Rwanda are by no means perfect. Decades of government corruption in Uganda as well as the ghosts of the genocidal past that haunt Rwanda make it clear that both countries still have a lot of work to do for their citizens, as do all nations. Any success stories from both of these nations, whether they came in the form of women empowering one another to develop financial livelihoods outside of depending on their husband's income, such as the weavers in both nations did, or whether they came in the form of people from conflicting backgrounds choosing to put aside their differences to work together, all stemmed from the basic value of prioritizing community needs over individual desires. I think that if we work together as a nation on creating a culture that fosters more of this, we will be so much happier for it at the end of the day. If we focus on improving the lives of others, on spreading happiness and love wherever we go, and on fostering more genuine interactions with others, we will come to find our own lives improved, our own happiness skyrocketing, and our own sense of self strong and secure. We will find strength in places we never knew we could rely on before. We will climb mountains higher than we think we could, and we will boundlessly open new doors. We will break barriers that lie in our relationships between each other and connect deeply on levels beyond what we had once perceived. For what you give to this world, is what you shall receive. Huda Navaid is a fourth-year Political Science major and Creative Writing minor. After college, she aims to pursue a gap year before applying for graduate school. In her gap year, she intends to travel and do research on how culturally-competent mental health care policy can be implemented across the world. She is currently working on writing her first book and is jumpstarting a PAUSD student mental health initiative called The Palo Alto Project. Huda also runs a blog where she reflects on life, discusses cultivating life skills, and talks about developing organizational skills. She also posts her own music, poetry, and short stories on her Instagram page. Miller Center for Social Entrepreneurship accelerates the success of high-potential social enterprises all over the world. We have worked with more than 900 social enterprises through our suite of accelerator programs. These enterprises have raised more than $940 million, and impacted 320 million lives. While each of the enterprises that make up the Global Social Benefit Institute (GSBI®) alumni are unique, many operate using similar business models, face common challenges, and employ common strategies for distribution, customer education, sales management and more. With this in mind, Miller Center’s Replication Initiative works to understand the best practices of our most successful alumni and other pioneering enterprises in order to help early-stage enterprises grow more quickly. We created the Last Mile Distribution (LMD) Playbook, a comprehensive guide for distribution-focused enterprises, and designed a four-month program for the entrepreneurs. To create the LMD Playbook, the Replication team took Miller Center’s proven business model-centric curriculum and tailored the material to meet the needs and specific challenges faced by LMD enterprises. The LMD Playbook not only includes examples and advice from “Originators”— successful distribution-focused enterprises—it also incorporates several distribution-specific modules designed to help LMD enterprises recruit and train sales agents, manage inventory, and more. See Figure 1 for a full list of the LMD Playbook Modules. ● Is the LMD Playbook program valuable for early-stage entrepreneurs? ● Are we achieving our goal of helping LMD enterprises launch and grow faster? Through a series of phone and online surveys as well as analysis of the lives impacted, investment, and revenue data from the Originators, we found that the answer to both of these questions is a resounding yes. On a 10-point scale (10 being highly valuable and relevant) participants rated the program, on average, an 8.7. When giving feedback, participants frequently noted that they appreciated having the opportunity to learn from both the successes and failures of the Originators, followed by feedback and expert advice from their mentors. Additionally, data collected from the participants and the Originators suggests that the LMD Playbook participants are, in fact, growing their social impact more quickly than the Originators did in their early years. Figure 2 compares the average “Total Lives Impacted” metrics of nine Originators to the Playbook participants, and shows the significant and enhanced growth of LMD participants. We also compared the Originator’s revenue and investment data to that of the LMD Playbook participants and discovered similar, positive results. However, this is data collected 1-8 months after program completion and we plan to keep monitoring the progress of the enterprises so that we can better understand how these early-stage enterprises continue to grow and develop, and what continued support they need to be successful. The LMD Playbook program was designed to help entrepreneurs replicate the best practices of the Originators, but it has limitations. Even if LMD enterprises share several common traits with another, each will still face unique challenges that cannot be aided through replication guides. In fact, several of the entrepreneurs reported that some of the distribution-focused module content was too specific and could not be applied to their region and/or growth stage. For example, Module 7: Technology and Tech Requirements advises entrepreneurs to manage their business operations using software like Salesforce and QuickBooks. While these complex software packages may work very well for enterprises that have been operating for several years, three of the LMD Playbook participants reported that this module was not as valuable as others because the specific technology requirements suggested in the module are too sophisticated for their enterprises. Feedback collected from the participants’ mentors also emphasized the importance of learning by doing, rather than learning by studying the LMD Playbook. For example, a new solar distribution enterprise in Kenya should understand the Originators’ business models and how successful enterprises segment determine their target markets, but the new entrepreneur should also be prepared to spend time in the field working with customers and defining their own unique target market. The LMD Playbook was designed to help entrepreneurs avoid some of the most common challenges associated with operating a distribution enterprise, but participants should still expect to make mistakes and learn from them. When recruiting participants for the first and second cohort, we tried to identify enterprises that we felt could derive the most value from the program. 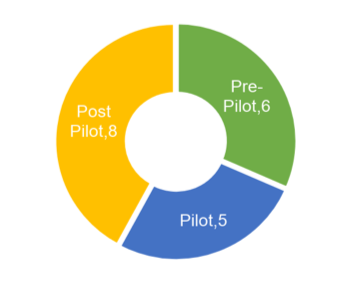 Based on the content of the playbook, we decided that enterprises in their pre-pilot, pilot, and immediately post-pilot growth stage were the best candidates. We analyzed the survey responses to determine how the experiences of the entrepreneurs varied depending on their growth stage. We learned that all participants found the program to be valuable because it is focused on the specific needs and challenges of growing an LMD enterprise, but the enterprise’s growth stage dictated which modules the entrepreneur found most valuable. For example, entrepreneurs who have yet to launch their pilot found the first module, “Mission and Impact” to be especially helpful because it encouraged them to first clearly outline the problem they are trying to solve and how they are solving it. But, entrepreneurs who have already successfully completed a pilot found the modules on fundraising and modes of financing to be more helpful as they are looking to raise money to expand their operations. Regardless of their growth stage, all of the entrepreneurs found the Financial Modeling module to be particularly useful. Several of the entrepreneurs reported that the financial modeling spreadsheet, also known as the “What-If Analysis” tool, was the most valuable aspect of the entire program, and several more plan to keep using this tool regularly. Participants also gave high marks to Module 4: Sales and Sales Agents as the module offered entrepreneurs advice on building and managing a network of sales agents, which is key to the success to any LMD enterprise. There was one key difference between the Cohort 1 program and that of Cohort 2: Webinars. After collecting feedback from Cohort 1, nearly all of the entrepreneurs suggested that future participants have the opportunity to communicate with each other during the program. In response to this feedback, we added a group collaboration component to the second cohort program. This collaboration occurred during scheduled webinars, a time when the entrepreneurs would all join on one call and review the most recent modules with each other and with the webinar facilitators (Miller Center staff). The Cohort 2 entrepreneurs unanimously agreed that these webinars were one of the most valuable aspects of the LMD program. Several of the participants enjoyed the webinars because these meetings allowed the entrepreneurs to share vendor lists, grant opportunities, business advice and more with people working in the same sector. Participants also found intrinsic value in them, valuing the camaraderie of talking to like-minded entrepreneurs and knowing that they are not alone in the difficult challenge of growing an early-stage LMD enterprise. In this way, the webinars provided additional value to the participants by providing a space the entrepreneurs to support each other. The LMD Playbook program would not have been possible without the assistance of expert partners. While Miller Center has worked closely with social entrepreneurs for more than 20 years, the creation of new sector-specific content required additional knowledge and resources. 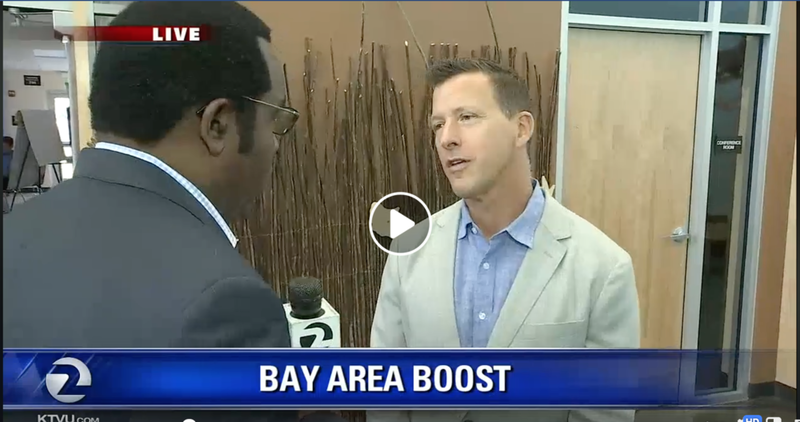 Therefore, Miller Center looked for partners with experience working in distribution who could add value to the content of the LMD Playbook, support recruitment efforts, and provide additional resources to the participants during the program. The Replication initiative was fortunate to find and work with several organizations such as D-Prize and Global Distributors Collective (at Practical Action UK) , that share a similar mission and dedication to working in this sector; D-Prize provides grant funding to distribution enterprises and the GDC offers “support, information, and expertise” to last mile distributors. To create the LMD Playbook and run two successful cohorts, Miller Center worked closely with both D-Prize and GDC before and during the program. By focusing on distribution, the formation of the LMD Playbook created this opportunity to bring together like-minded partners who could offer their expertise. This collaboration with both organizations also created additional value to the participating entrepreneurs as D-Prize and the GDC provided distribution-specific support and resources to the participants. With the success of the first playbook behind us, Miller Center’s Replication Initiative looks forward to creating more sector-specific playbooks for early-stage entrepreneurs. In a few months, we plan to launch both a new playbook and an accompanying program designed for Microgrid enterprises. Like the LMD Program, this new program offers participants the opportunity to learn more about operating a microgrid enterprise through a series of modules and the support of a trusted Miller Center mentor. As we create new playbooks, we will keep helping LMD enterprises by incorporating the LMD Playbook content into Miller Center’s GSBI Accelerator program as an affinity group. For more information about applying to GSBI and the new affinity groups, click here. Applications are due November 2. Lauren Oliver started working with Miller Center for Social Entrepreneurship as a Global Social Benefit Fellow in 2017. For her fellowship, she worked with the Teach a Man to Fish Organization in Uganda researching social value products. 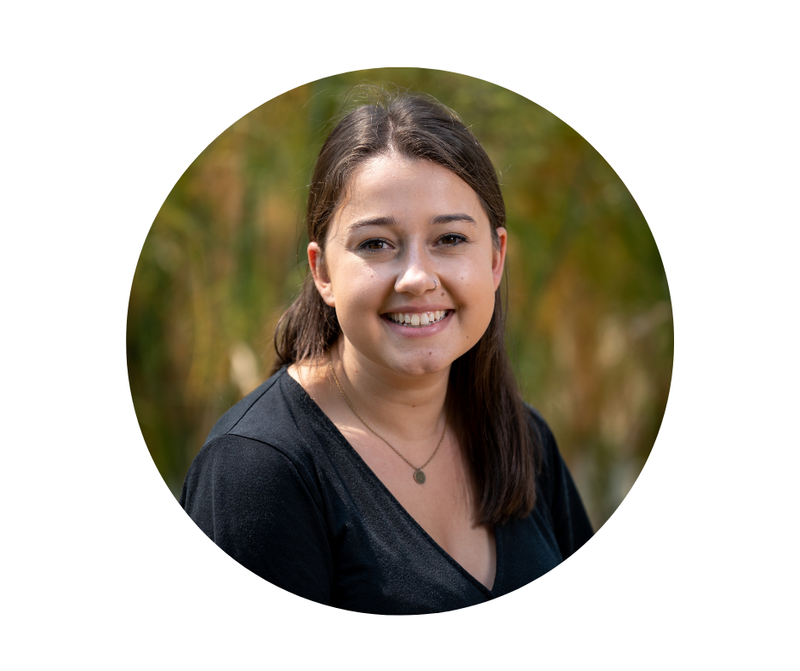 Lauren is a Santa Clara University graduate who completed her Bachelor's Degree in Civil Engineering with a focus in Water Resources in June 2018 and plans to continue working in the social impact sector, ideally for an organization focused on improving access to clean water. Banner photo courtesy of Empower Generation. What do you do when poverty stares you in the face? When it’s five years old, chasing you down the street with a basket full of maize and grabbing your hand? Or when it’s a hesitant smile from a villager, mustering up the courage to speak what’s on her mind? Throughout my time in the fellowship, I witnessed three differing responses to poverty that have radically altered the way I view the world and plan my future. Kristi Chon conducting action research for NUCAFE as part of Miller Center’s Global Social Benefit Fellowship (Summer 2018). First, the response of the privileged. The one who uncomfortably averts their eyes from poverty. The problem of poverty is something they don’t see on a day-to-day basis or are trained by society to ignore. This was me, and at last I lived day to day next to the problems my classmates and I have only read about, without a comfortable distance of a book in between us and the problem. Second, the response of the man or woman who has “made it out” yet fights to do everything he can to distance himself from the problem. My coworkers tell me of their friends who receive a western education and end up returning to Uganda, discouraged by the lack of employment opportunities and institutional support in their countries of education. Third, the response of the man or woman who stays for the fight: the response that gives me hope. NUCAFE encapsulates this response throughout its entire organization. After interviewing farmers, my partner and I left deeply moved by the impact the organization is making in many lives and generations to come. We saw how farmers were able to grow financially through receiving higher and consistent prices, having access to trainings to transform their farming capabilities, and in general be united as a community through cooperatives. NUCAFE was essential in providing this support to farmers when no other institutions had done so. Since the liberalization of Ugandan coffee in 1951, the cooperatives that had previously supported coffee farmers collapsed. Rather than the farmers having bargaining power in numbers, they found themselves isolated and targeted as individuals by middlemen and large multinational corporations that underpaid the farmers leaving them in a cycle of poverty. However, after our time learning about NUCAFE, I left inspired seeing social enterprises challenge the first two responses to facing the issue of poverty in society. I look forward to exploring how organizations such as NUCAFE harness the third response to address poverty through a career in social impact. 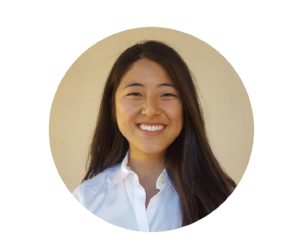 Kristi Chon is a fourth year Economics major and Sustainability minor. 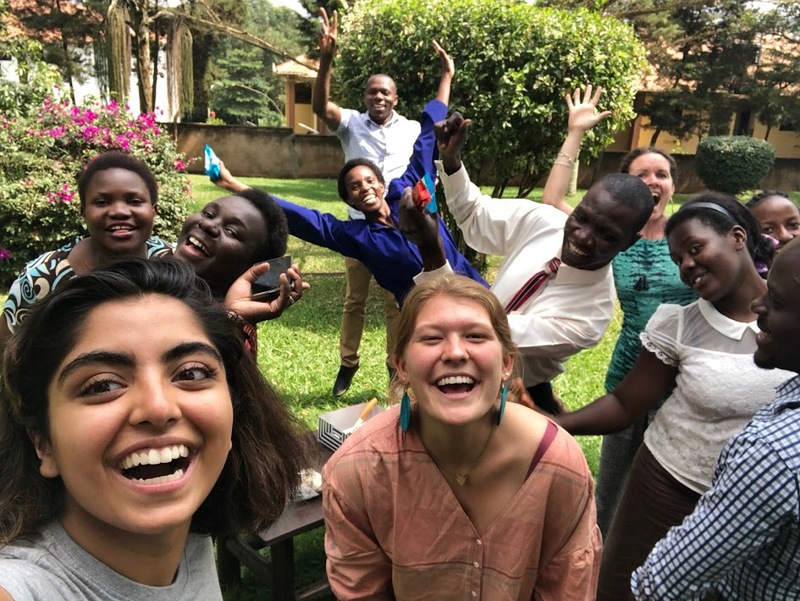 Since her time as a Global Social Benefit Fellow working with the Ugandan social enterprise NUCAFE, she desires to pursue a career of social impact consulting. She currently works as a Program Assistant advancing Replication efforts at Miller Center. I love April because many new exciting things begin! We have begun teaching the new cohort of 18 Global Social Benefit Fellows! Fourteen of these will be working in Africa this summer, in Ghana, Rwanda, Uganda, and Zambia. We will be working with nine social enterprises, eight of them alumni graduating from the GSBI Accelerator in 2016 and 2017. Replication is a strong theme across the action research projects, with half of the projects testing and refining lessons for accelerating social impact in rural Africa. Half of the projects will evaluate and propose business model innovations with our social enterprise partners. Please come meet the new fellows at the Research With a Mission Open House and Expo on Wednesday, May 23, 2:30-4:30 pm, in Locatelli Center. April brings news for our alumni fellows and the exciting next stage of their journeys! 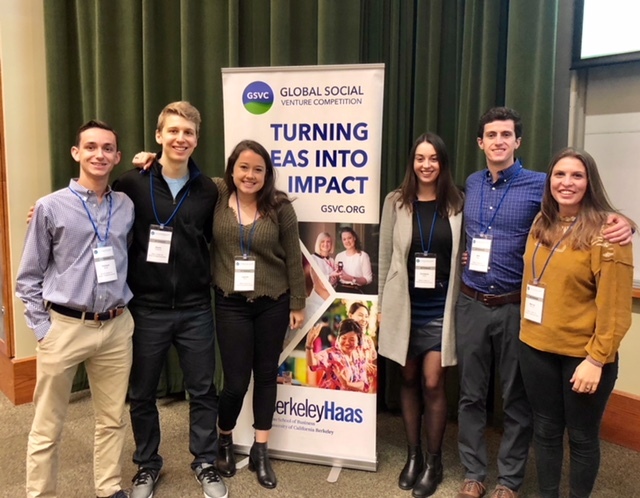 I am particularly proud of four of our Global Social Benefit Fellows (GSBF) who have received prestigious Fulbright awards to continue researching social entrepreneurship in the developing world! Erika Francks (GSBF Onergy 2016; SCU Valedictorian 2017) will investigate the socio-economic impact of solar micro-grids in Lesotho (South Africa). Her honors thesis, "The Future of Solar Microgrids in Sub-Saharan Africa: How social enterprises can accelerate the spread of renewable energy to off-grid communities” laid the foundation for her Fulbright award, and has informed our solar microgrid playbook. Carson Whisler (GSBF Onergy 2016) will investigate "Mitigating Energy Poverty in Island Nations with Pay-as-You-Go Solar Technology” in Indonesia. 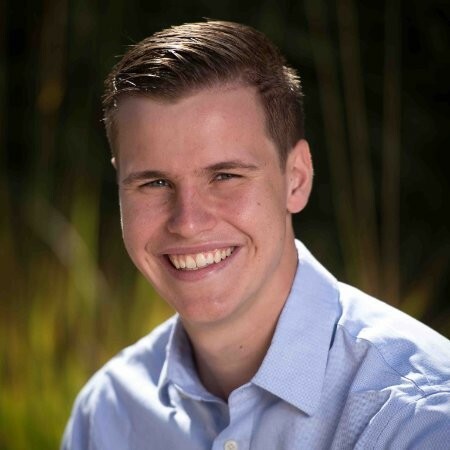 Carson worked for Mark Correnti in impact investing, and his honors thesis was titled "A Coordinated Approach to Investing in Clean Energy Access” in which he critically evaluated the role of PAYGO technology on the goals of energy access. Marisa Rudolph (GSBF 2017 Farmerline) will return to Ghana to pursue a research project titled: "How private agricultural extension fosters the public good in Ghana.” This grows out of her immersion in Ghanaian farming last year plus her life-long interest in women’s economic agency. Please join me in congratulating Ericka, Carson, Athena, and Marisa! Marisa Rudolph (third from the left) participates in a farmer-services team meeting with Farmerline staff (Kumasi, Ghana). Esther Bartlett, Athena Nguyen (center), and Aung Nyein Chan, Koe Koe Tech’s Marketing Manager, conduct interviews (rural Twante Township, Myanmar). Erika Francks (third from left, in white blouse) conducting an interview in a village served by ONergy (West Bengal, India). Carson conducting an interview a village interview (West Bengal, India). Erika Francks (second from left, standing) and Carson Whisler (third from left, sitting) participate in a village interview with ONergy staff (west Bengal, India). Marisa Rudolph participates in Farmerline’s outreach to farmers (Ghana). Thomas Wheeler (GSBF Jibu 2015) works with Coco Asenso, a social enterprise enhancing sustainable rural development through coconut processing in the Philippines. He recently joined Miller Center’s Andy Lieberman and Mark Correnti in a weeklong set of presentations and workshops about social entrepreneurship at the University of San Carlos in Cebu, Philippines. Check out his blog. Ashraf Hammad (GSBF Empower Generation 2016) is a Global Advocate Fellow with Mama Hope. He recently began his placement in Kenya with the Riley Orton Foundation. Read his blog. Katie Diggs (GSBF Sistema Biobolsa 2017) will become a fellow for Impact Amplifier, a GSBI Network partner in Cape Town, South Africa. She joins Brooke Latham (GSBF 2015 Bana), now at Alterna Center for Social Innovation and Entrepreneurship (Guatemala), in working with our GSBI Network partners.